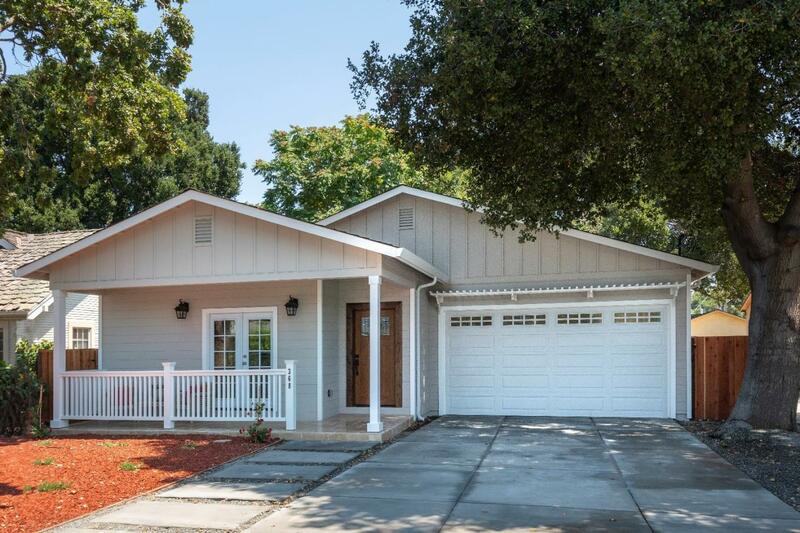 Newly Custom Built, Modern, 4 bedrooms, 3.5 baths, 2400 sq ft, single level home on 6308 sq ft lot in prime Downtown Sunnyvale. Beautifully designed, meticulously built with high quality workmanship and materials. Design features Green, Eco-Friendly materials & technology for low utilization energy usage. Large, bright, open spaces with 10-foot coffered ceilings in living/dining areas, kitchen, family room, master bedroom. Two fireplaces -electric / gas. Nest thermostat to control heater & central AC. Rich engineered wood floors. Gourmet kitchen, big center island, stainless steel appliances. Spacious master suite- elegant bath, natural stone .4th bedroom / den suite with own entrance. CAT 6e cable & coax in all bedrooms, living & family rooms. Tankless, recirculating water heater. Two car attached garage with electric car-ready hookup. Walk 3+ blocks to downtown restaurants, entertainment & more. Centrally located, 5-10 mins drive to Apple, LinkedIn, Google & other tech companies. Copyright © MLSListings Inc. 2019 All rights reserved. The data relating to real estate for sale on this website comes in part from the Internet Data Exchange program of the MLSListingsTM MLS system. Real estate listings held by brokerage firms other than The Benson Team are marked with the Internet Data Exchange icon (a stylized house inside a circle) and detailed information about them includes the names of the listing brokers and listing agents. Based on information from MLSListings MLS as of 2019-04-21 All data, including all measurements and calculations of area, is obtained from various sources and has not been, and will not be, verified by broker or MLS. All information should be independently reviewed and verified for accuracy. Properties may or may not be listed by the office/agent presenting the information. Information last updated on 2019-04-21.